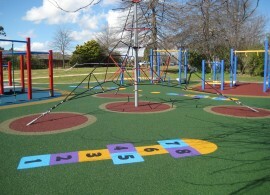 CRS Wetpour Rubber systems create a durable polymeric surface specifically developed for use in recreational areas to give maximum safety, longevity and play value. 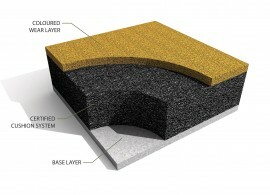 Wetpour Rubber consists of synthetic and/or recycled rubber granules bound in a polyurethane resin to form a continuous, seamless surface. It is mixed onsite and trowelled down by specialist installers. It is ideal for covering large areas with bright colours. There are a variety of rubber formulae to suit most applications and budgets ranging from cost effective Pre-Colour SBR to salt and chemical resistant PolySoft.